Place asparagus on a heavy baking sheet. Drizzle with olive oil, sprinkle with salt and pepper, and toss. Roast until the asparagus is tender but still crisp, about 10 minutes. Cool completely. 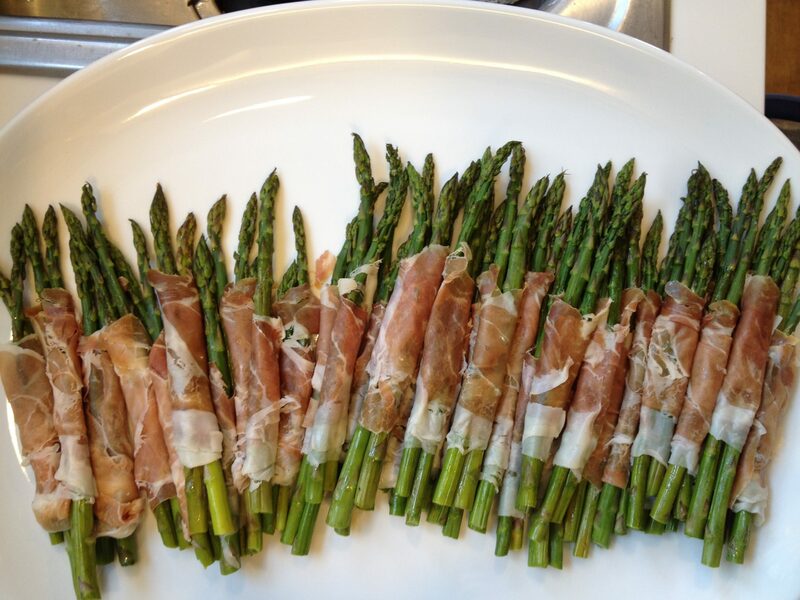 Wrap each asparagus with one of the ½ slices of prosciutto, leaving tips exposed. Arrange on a platter and serve at room temperature. Enjoy!